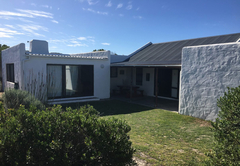 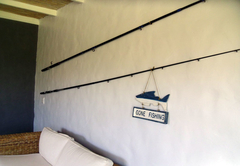 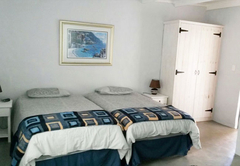 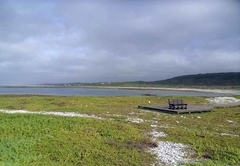 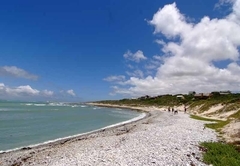 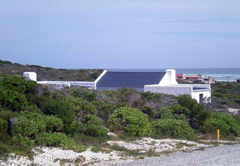 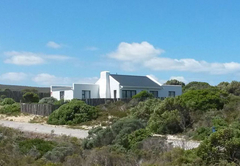 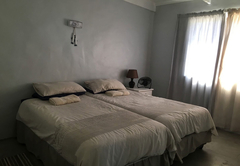 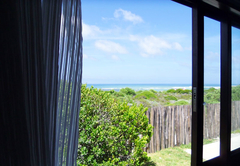 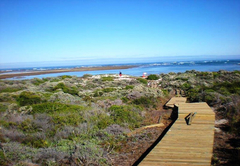 Linga Longa is a property providing self catering in Suiderstrand for up to 6 guests visiting the Cape Agulhas region. 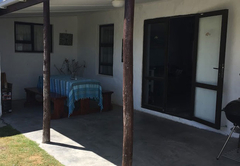 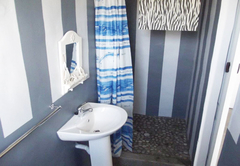 Linga Longa is a comfortable self-catering cottage which comfortably sleeps six people. 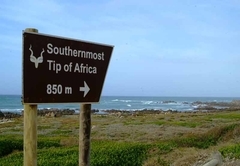 It is situated in the beautiful village of Suiderstrand, 5km from the Southern-most tip of Africa where the Atlantic and Indian Oceans meet. 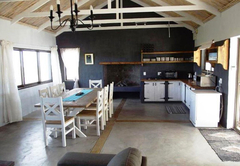 The cottage consists of three en-suite bedrooms, a fully equipped kitchen and a large open-plan living area with a fireplace. 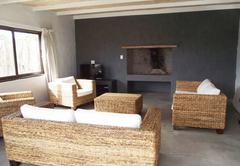 Outside you will find a second large lounge with a television and a great place to entertain. 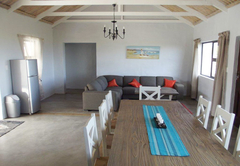 This lounge has a braai / fireplace. 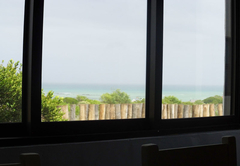 Enjoy the lovely sea views from the patio and garden. 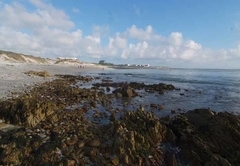 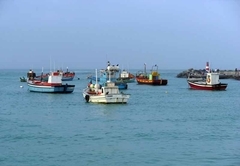 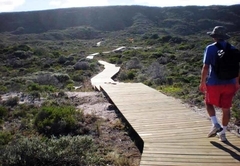 Completely surrounded by the Agulhas National Park, the area is filled with interesting hiking trails, and the beach has rock pools teeming with sea creatures. 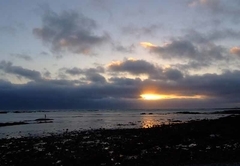 Spend the day swimming, fishing or relaxing on the beach or come down early evening and watch the most stunning sunsets. 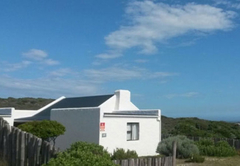 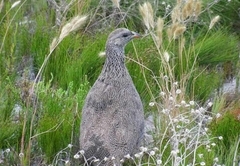 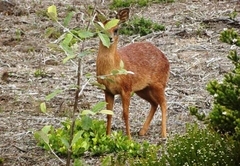 The cottage is set amongst the fynbos and is very private. 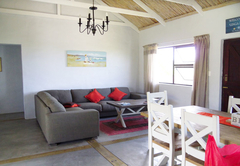 The cottage consists of three en-suite bedrooms, a fully equipped kitchen and a large open-plan living area with a fireplace. 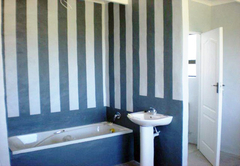 No hot water and they can’t be bothered trying to fix it. 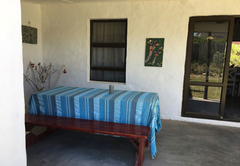 Messaged, no reply. 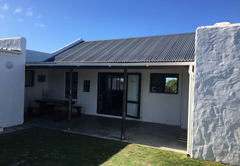 Not one message or call returned. 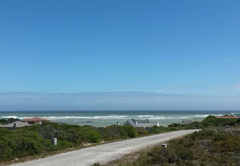 Packed up and left. 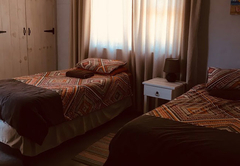 Shocking service.